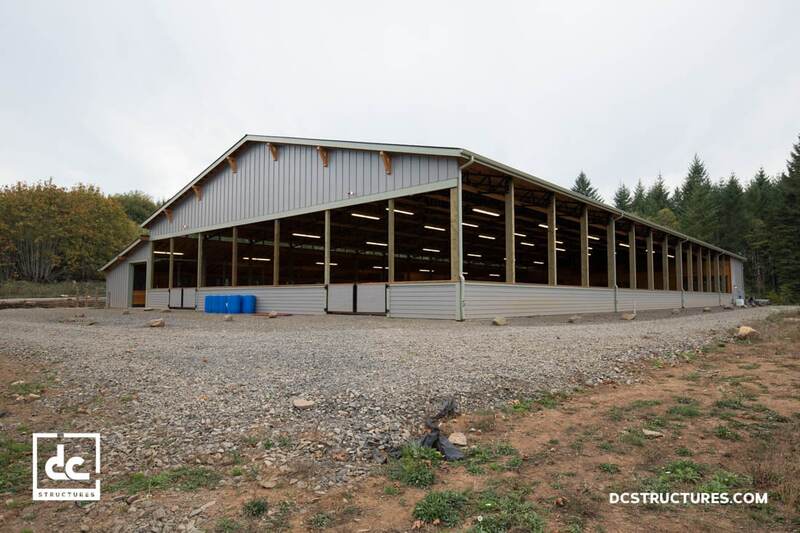 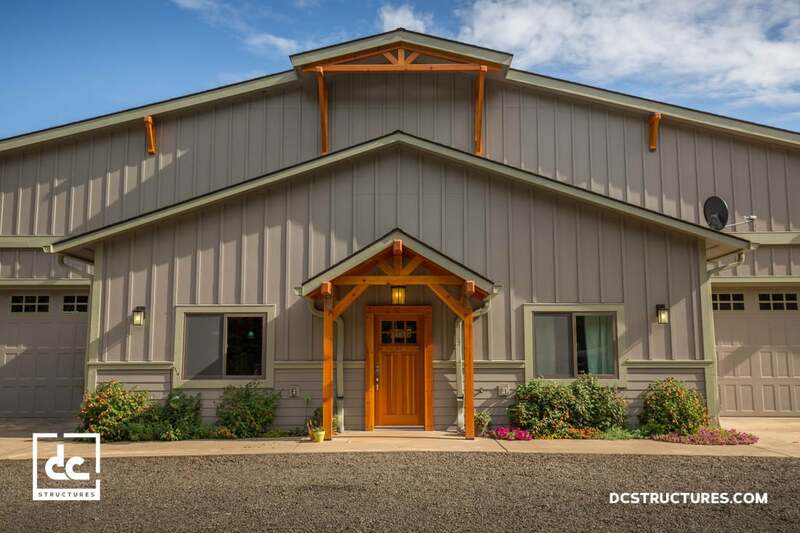 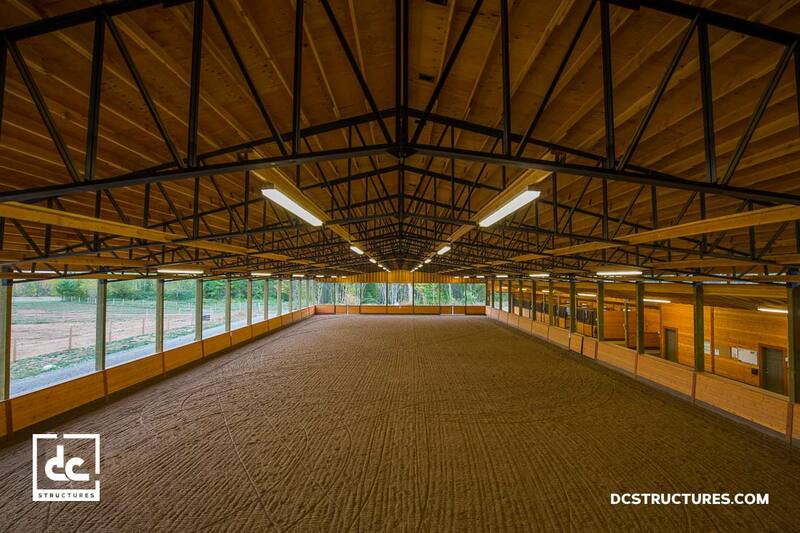 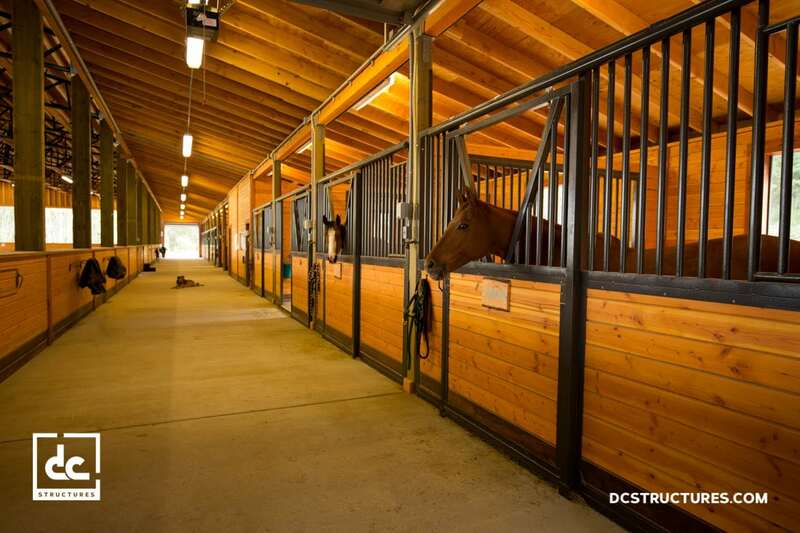 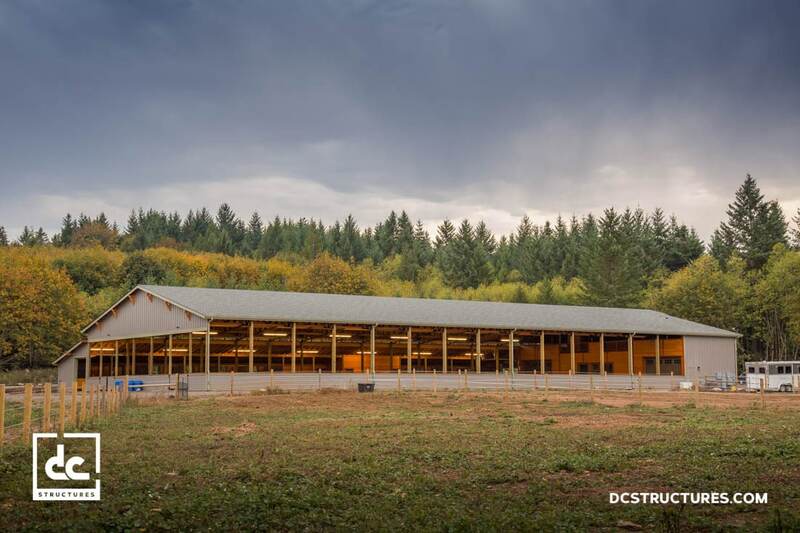 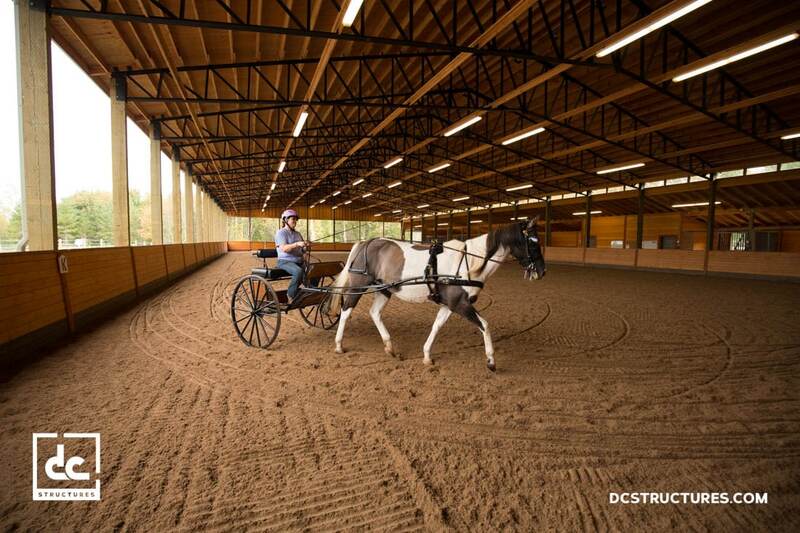 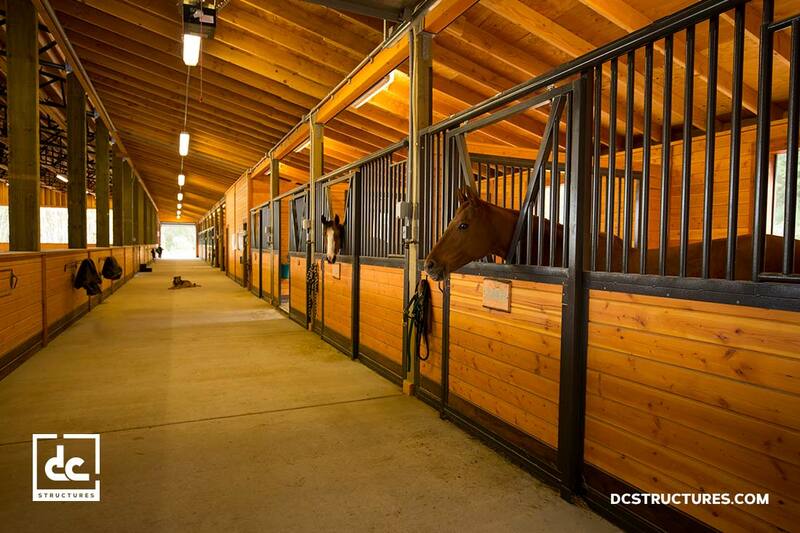 This one-of-a-kind equestrian facility built out of a Canyon 80′ arena and stables kit features ten horse stalls, two wash bays, a beautiful tack room, an 80’ x 168’ riding arena, two 24’ x 24’ garages, and a 1,300 sq. 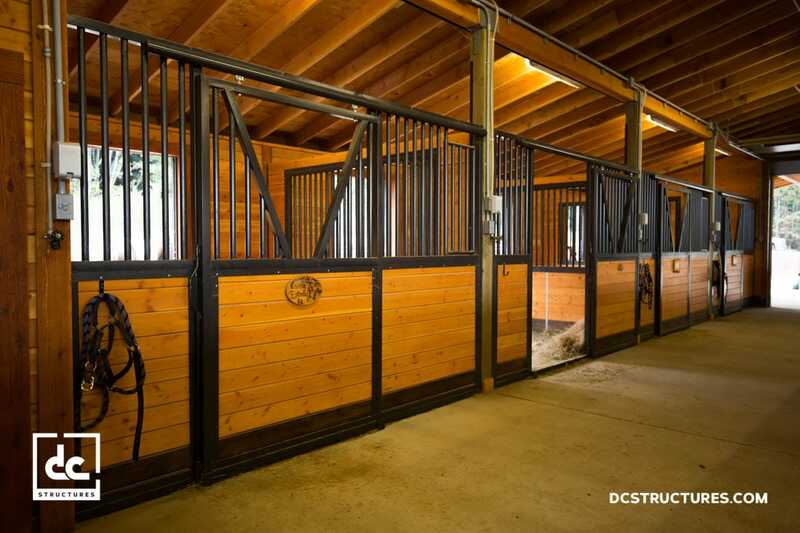 ft. apartment. 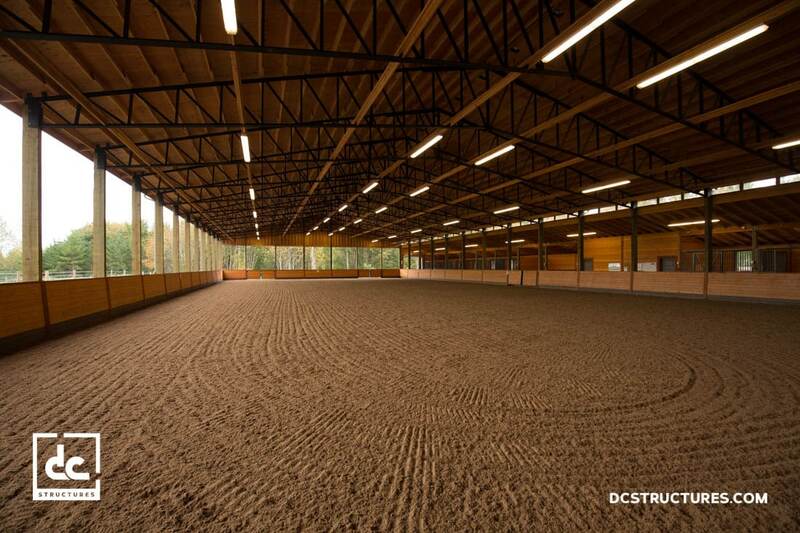 The one bedroom living quarters includes an open concept living room with a gas fireplace, a modern kitchen, full bathroom, and a viewing room looking out into the arena. 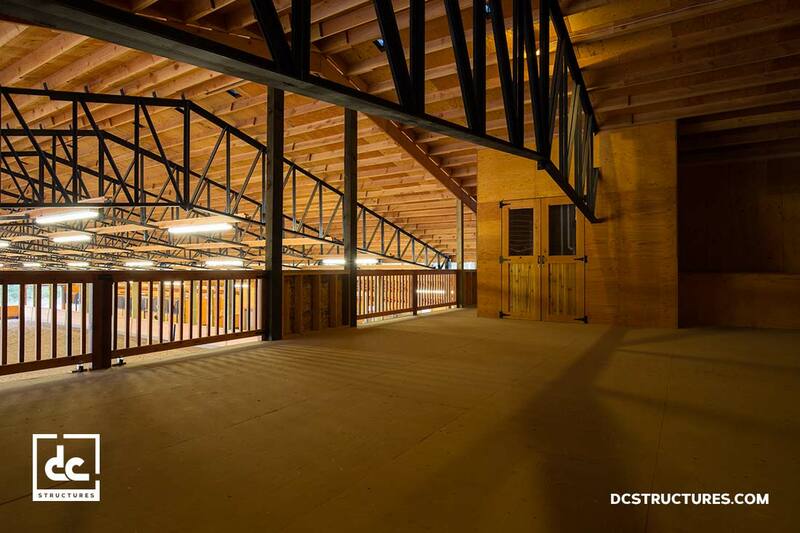 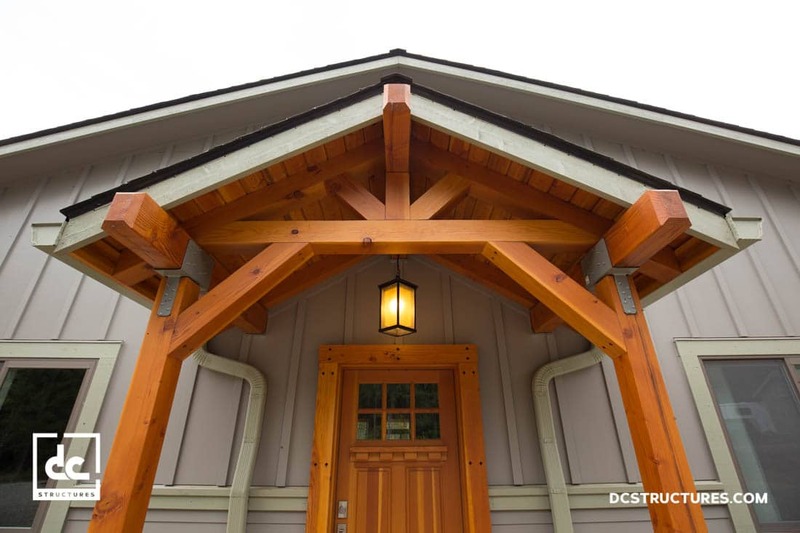 There’s also a large hayloft with a viewing platform and plenty of room for storage.